Do you feel like you’re stuck with your development? 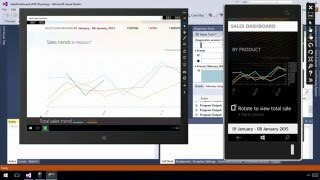 Ready to modernize your apps? Want to add a developer to your team? We are holding a webinar “Telerik Professional Services” to inform our customers about our Professional Services options and help you through any of the struggles you may be facing. You will learn about our offerings, hear from a customer, and learn more about one of our select partners. As developers, we always want to get more out of our applications in terms of speed, performance and usability, while still providing an intuitive and modern UI for end users. With the Telerik R1 2019 release, you’re better equipped to do just that. In development there are a lot of conventions that we should follow and it is possible to boil them down to the most important ones like the S.O.L.I.D-principles. The same is true for UX! But as a developer – not necessarily an expert in user design – how do you know where to focus your time and attention. With the Telerik R3 2018 release, you’re better equipped to do just that. Every app deserves a sleek design—one that’s not only pleasing to the eye, but easy to navigate. We believe all developers should say “no” to ugly apps and be able to quickly create apps with outstanding UX. Sign up for the Telerik R1 2018 Release Webinar on Tuesday, January 30, 2018 at 11:00 am ET where our product team will dive deeper into the additions on Fluent theme, Xamarin, React and more. 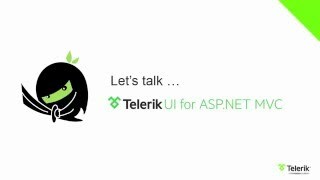 Here comes the R2 release webinar for Telerik UI tools - we’re excited to present the cool new features of our .NET Tools for .NET Ninjas! Sign up to see all highlights for our UI tools for web, desktop and mobile technologies. We have some cool prizes for everyone who joins and who participates in the conversation. So don’t forget to ask your questions before and during the event via Twitter with #heyTelerik . We’ll keep an eye on them. 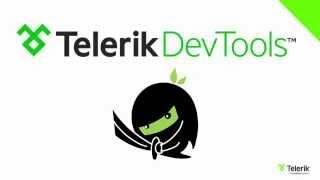 Watch our webinar to see the latest technical demos of the Telerik UI suites, all of which are Visual Studio 2017 RC ready, newly introduced components, and the Getting Started experience improvements made across the whole portfolio of Telerik developer tools. How do you choose what’s right for your requirements from all the architectural options available? Our experts Jeremy Likness and Sam Basu will help you make an educated decision.